Inland Fisheries Ireland leads an AMBER case study on the Munster Blackwater. The Munster Blackwater is located in the southern part of Ireland and discharges to the Celtic Sea. With a surface area of 3,100 km2 and a main stem length of 169 km the catchment is one of Ireland’s largest and longest river systems. 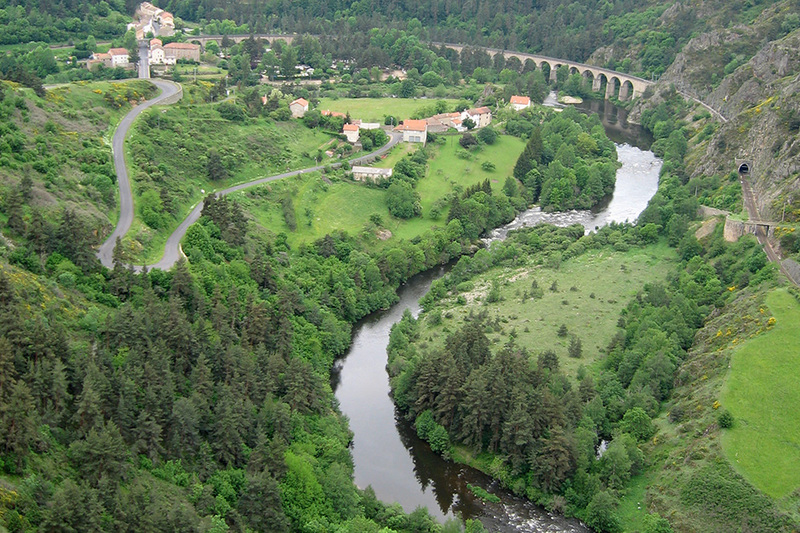 The river is important for the presence of several E.U. Habitats Directive Annex II animal species including sea lamprey (Petromyzon marinus), brook lamprey (Lampetra planeri), river lamprey (L. fluviatilis), twaite shad (Alosa fallax fallax), freshwater pearl mussel (Margaritifera margaritifera) and Atlantic salmon (Salmo salar). The Munster Blackwater has thus been designated as a Special Area of Conservation (SAC) affording protection to the species of high conservation value. The river’s main stem lies in a linear valley with fertile soils and a high level of dairying and grassland production. The gradient of the main stem is gentle, that of a lowland river with extensive, relatively deep glides and pools and shorter areas of higher gradient with a bed of cobbles and gravels. There is an extensive network of tributaries discharging from the upland areas that straddle the main river valley to north and south. The main stem is largely undisturbed by man-made impacts on the channel and riparian character. The catchment has not been subject to any major arterial drainage works and the river commonly overtops its banks and discharges onto the available floodplain. 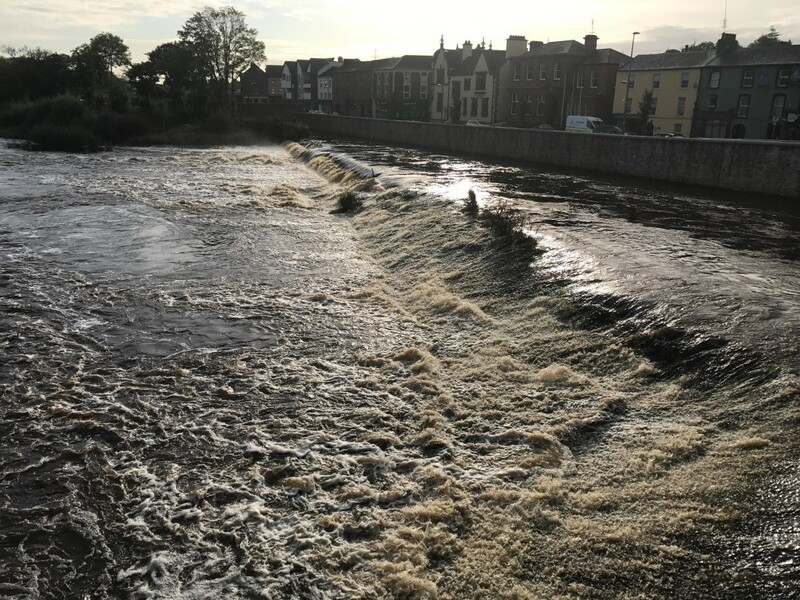 The towns of Mallow and Fermoy are built on the banks of the river and have experienced a series of flooding events in recent times, leading to the implementation of flood relief schemes for both towns. These schemes have largely been executed out of the river and have involved flood defence structures and infrastructure. By mainland-European standards, the Munster Blackwater is largely unimpacted by man-made structures and activities. A number of Conservation Objectives (COs) have been identified for the River Blackwater SAC including improved river connectivity for migratory fish species particularly to give sea lamprey access into at least 75% of the main stem length. Man-made barriers present on the lower reaches cause difficulties for fish undertaking an upstream migration, thereby limiting species to lower stretches and restricting access to spawning areas. Sea lamprey spawn in clean gravel and recent surveys have indicated accumulation of redds downstream of the two major weirs on the lower reaches of the river. 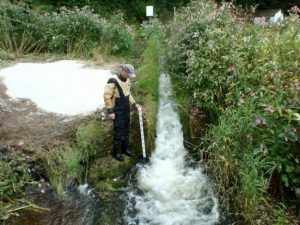 Large weirs on the Blackwater can also delay salmon migration in certain water conditions but do not generally prevent access to spawning areas. However, delay at such barriers may have a physiological cost, with possible damage to adult fish from attempting to traverse the barriers and reduced egg viability when spawning grounds are eventually reached. 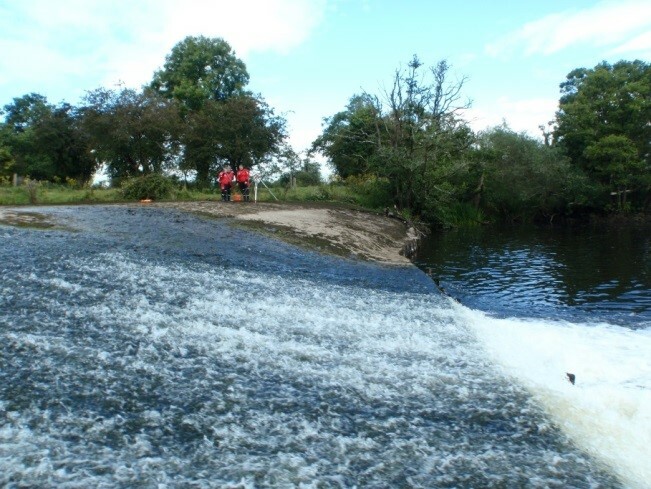 Therefore, improving fish passage at large weirs has been identified as a pertinent conservation objective for migrating lamprey species and salmonids in the Blackwater River (SAC). 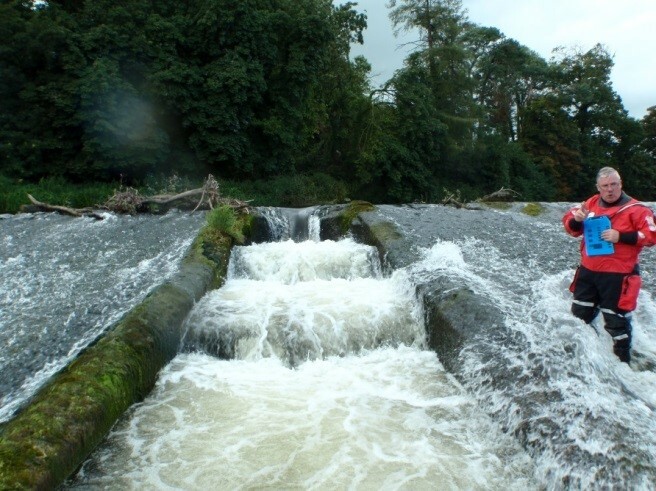 Clondulane Weir is located 25 km upstream of the tidal limit of the Munster Blackwater. This weir lies on a section of river surrounded by farmland and deciduous woodland. It was used as a source of hydro power for commercial purposes on a large estate. The estate owns fishing rights for Atlantic salmon in the waters downstream of the weir. However, the weir was unused for its original purpose for many years and a Ministerial order was issued requiring its removal. This is scheduled to commence soon. The angling fishery has yielded two specimens of allis shad, taken on rod and line in the fishery in 2003 and 2005, demonstrating the capacity of migratory shad to travel up the Blackwater to, at least, Clondulane. Evidence from redd counts indicates that sea lamprey spawn downstream of the structure. The combination of weir height and river gradient impacts to create an impounded zone extending for 4 km upstream, almost to the town of Fermoy. Fermoy Weir lies in the centre of the town and the structure itself is constructed through the only road bridge over the river in the town. The weir was used to power facilities that are no longer in use. It has a vertical height of 2.5 m has a central pool-type fish pass. 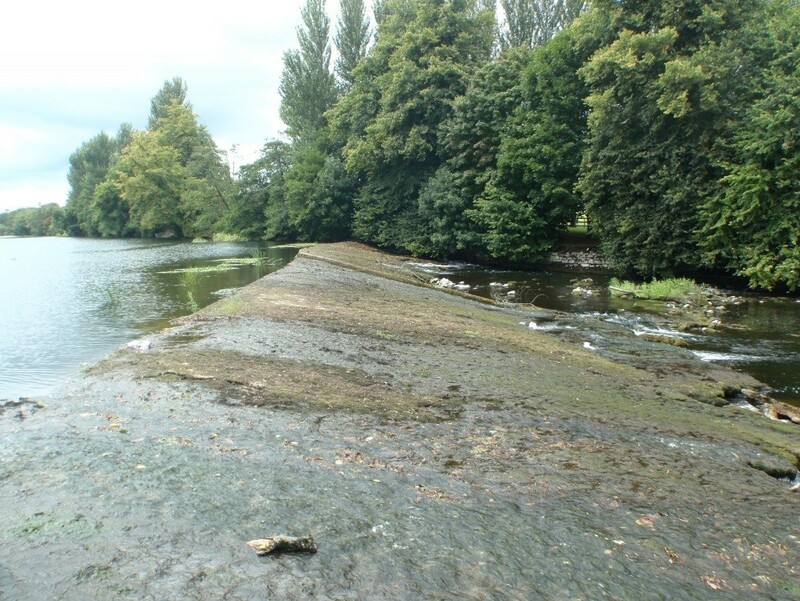 The area downstream of the weir becomes very shallow in low flow and can impede migratory fish ascending upstream to attempt passage. Sea lamprey redds have been found in significant numbers downstream of the weir. As with Clondulane Weir, there is a substantial length of channel impounded upstream of the Fermoy Weir, to a distance of 3 km. Barrier mitigation on the lower Muster Blackwater has potential to facilitate a wider dispersal of migratory fish species into the catchment. 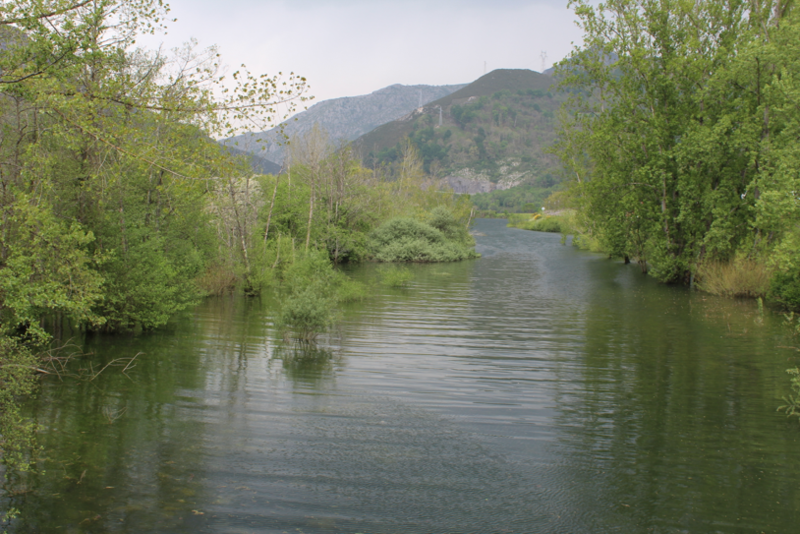 This will benefit the Conservation Objectives for relevant Annex II Habitats Directive species (salmon and sea lamprey). 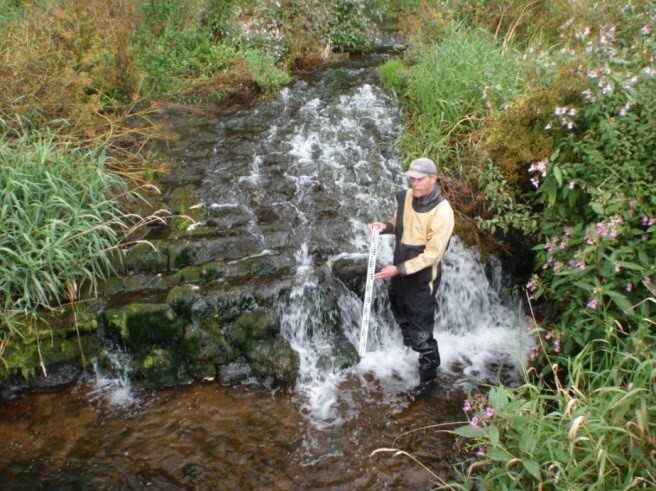 The Blackwater supports a significant Atlantic salmon rod-angling fishery. Weir modification may ease the passage of salmon through the lower reaches for migrating salmon. This more rapid dispersal may reduce the attractiveness of some salmon angling waters in the lower reaches while possibly enhancing angling opportunities throughout the system – with possible gains and losses for some fishery owners. Salmon fishing-related activities are a key economic sector in the area. 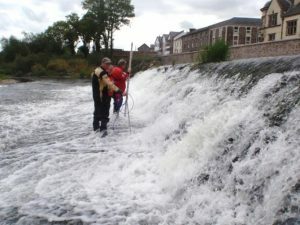 A key stake holder immediately upstream of the Fermoy weir demonstration site is the local rowing club. 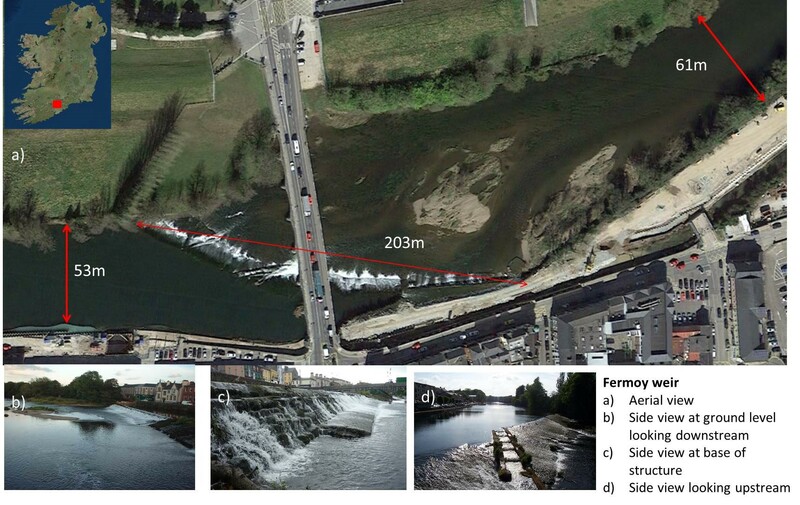 The options of a rock ramp and its location were examined in the course of flood scheme design for Fermoy. Concerns in relation to any lowering of water surface levels in the impounded area, and consequential impacts on rowing facilities, has led to a shelving of a rock ramp option. 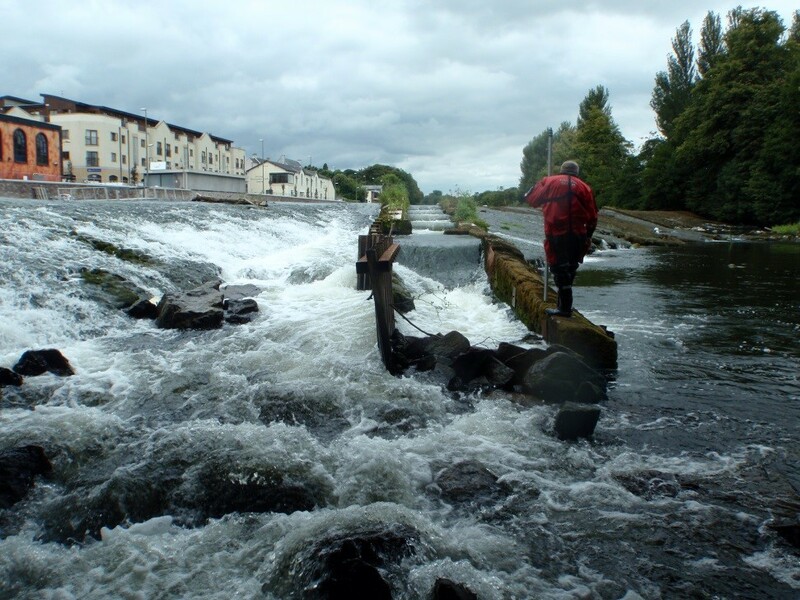 The current proposals for Fermoy include a nature-like fish pass channel to one side of the existing structure. The AMBER socio-economic survey with stakeholders will be highly informative and may identify as-yet unknown ‘stakeholders’ as well as providing better understanding of reaction to proposed barrier modification. 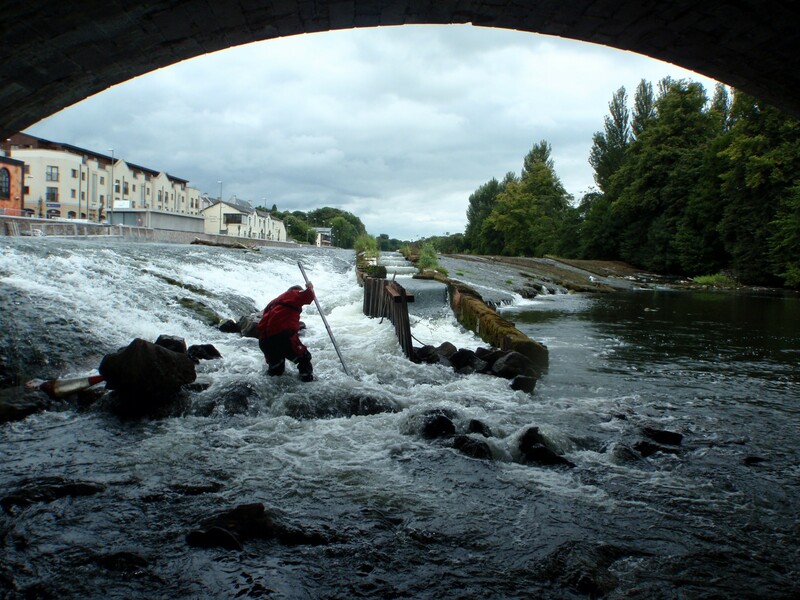 The proposed mitigation measures on the two structures – removal of Clondulane and a fish-friendly by-pass channel at Fermoy – have been the subject of review in regard to legal issues and flood risk management for some time. The proposals are subject to Irish planning legislation, with requirements for a wide range of supporting documentation. This process was in hand well in advance of the AMBER project and elements of some completed studies e.g. topographical survey of the area; barrier passability assessment of the weirs using the SNIFFER or WFD III protocol; and eDNA sampling for sea lamprey passability are relevant to the IFI team in AMBER and are available for use. The topographical survey was most informative in regard to channel width and depth and longitudinal profile. This survey indicates the impact of any barrier removal on the form of the ‘natural’ channel that will emerge. The IFI proposals include fish community studies on impounded areas of channel and on natural un-impounded areas both prior to any mitigation works and following works. 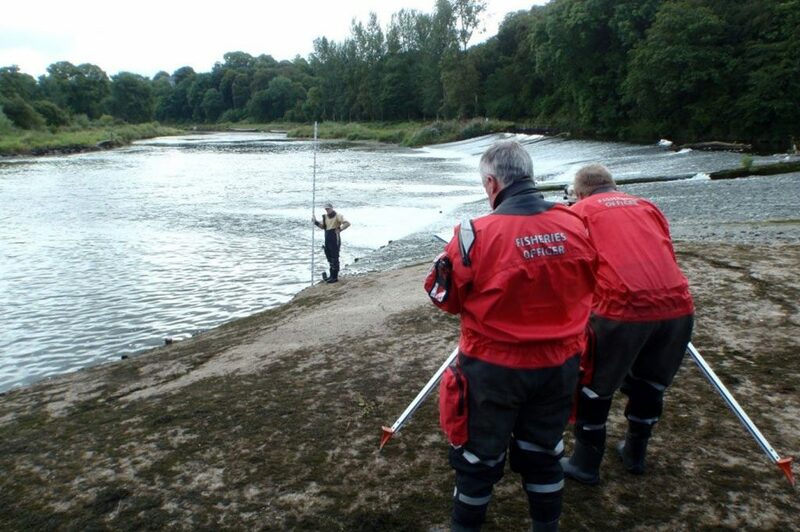 In addition, IFI has identified the relevance of examining any ‘positive’ role of the impounding effect and has surveyed populations of European eel in both impounded and natural sections of the river. 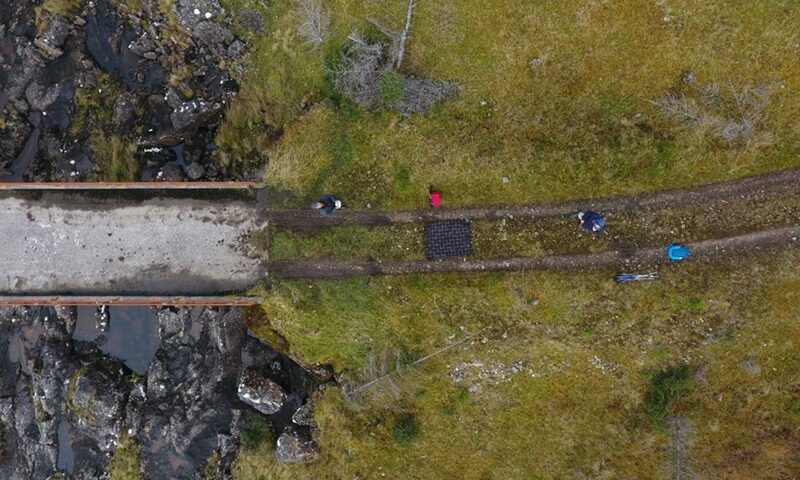 Relevant tools from other AMBER workpackages will be utilised at the demonstration sites to assess the implications of the barriers on stream connectivity and the socio-economic elements of barrier modification. IFI surveys to date have included fish community investigations on the Blackwater at the impounded areas of channel and in natural or unimpounded areas. The fish community work on the Blackwater will examine any changes to fish community composition that may arise as a result of the proposed weir alterations. Investigations will be undertaken before any weir modification work and, subsequently, at some time following weir alteration. Resident and migratory fish telemetry studies are also underway. The telemetry studies intend to look at the response of the sea lamprey when they encounter barriers or blockages to their upstream spawning migration which will be supplemented by redds counts along the river to investigate the spawning behaviour in relation to the weirs. 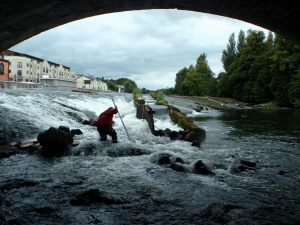 In addition to this, two of the resident fish (dace & trout) in the impounded sections of river upstream of Clondulane Weir will be tagged to understand their habitat use and species interactions in the impounded habitat directly above the weir.